The beautiful Chrisette Michele brings us on a journey in this new video to 'A Couple Of Forevers'. Shot in Savannah, Georgia - the soulful singer by Atlanta's very own - Derek Blanks, Michele gets together with Guitar Slayer, who is her lover in this video. Chrisette wears all white and shows off her tattoos in this video and even goes and gets matching tattoos with Guitar Slayer. This is the first video off her debut album 'Better' which hits stores on April 30 with features from Wale, 2 Chainz, Musiq Soulchild, and her brother Lem Payne. 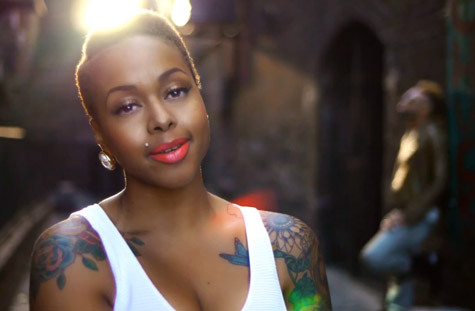 Chrisette Michele joins Keyshia Cole on her "Woman to Woman" tour which begins in New York on March 28. This song is so beautiful and the video to accompany it is also very beautiful... Chrisette Michele is just breathtaking.